Two journalists and the mayor of baseball’s mythical home village of Cooperstown provide their takes about the sport. (JTA) – For many, summer is all about the three B's: baseball, beaches and books. 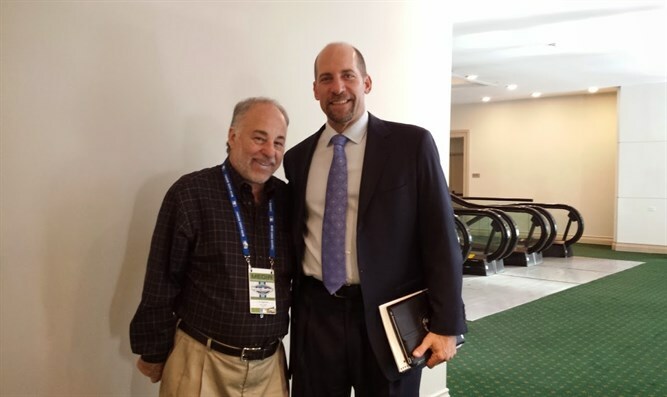 With the weather and pennant races sizzling, two journalists and the mayor of baseball’s mythical home village of Cooperstown, New York -- all Jewish -- have provided their takes about a sport that has captivated them for a long time. The journalists -- Hal Bock and Dan Schlossberg -- focus on two National League teams: the Chicago Cubs, well-positioned this season to break a 108-year championship drought some consider a curse, and the Atlanta Braves, who won 14 consecutive division titles through 2005 but now have the worst record in Major League Baseball. Jeff Katz is now serving a second term as mayor of Cooperstown after moving there to indulge his lifelong love of baseball. In the book, he researches the strike-dividing season of 35 years ago that resulted in first- and second-half champions and the majors’ best team, the Cincinnati Reds, missing the playoffs. "The Cubs got off to a magnificent start this season  – the best start they’ve had since 1908, a season that’s mentioned prominently in the book," said Bock, 77, of suburban Long Island, New York. "The last time the Cubs were in the World Series , World War II had just ended; the last time they won a World Series , World War I had not yet begun. That puts it in some perspective. "The Cubs’ catcher, Johnny Kling, was Jewish – or, at least, his teammates believed he was Jewish. He was an outstanding defensive catcher. During the  World Series, the Tigers’ Ty Cobb was on second base. The Cubs’ shortstop, Joe Tinker, was kibitzing with Cobb and said, “Watch it, or the Jew will nab you,” referring to Kling. Sure enough, Kling picked him off second base." As to why the alleged slur wasn’t mentioned in the book, Bock said: "I wanted it to be a baseball book, so I just avoided any controversy. This is not a book about Judaism; it’s a book about baseball. ”My eyes opened up like saucers and I said, “That’s their job? Holy mackerel – what a way to make a living!” I decided right then and there that this was what I wanted to do, and I was fortunate enough in life to write about baseball." "The Miller aspect of the story – seeing his father on the picket line in the Garment District [in New York City] – was a very definite Jewish anecdote that means something to me. I think my point of view in 'Split Season' is very connected to my Jewishness. Even though I was a trader and worked on Wall Street, when it comes to owners versus workers, which was the 'Split Season' story, most Jewish people are on the side of the workers, almost by instinct." "There was something about it that was remarkable," he said. "I recall reading a Warren Spahn biography in 1968. As a kid in a Jewish family going to public school in a predominantly Jewish neighborhood [in Brooklyn], there was always that Jewish thing of education is important, reading is important and it doesn’t matter what you read. Teachers and family members were getting me baseball books. "I’ve stayed with the Braves because I always loved the underdog," said Schlossberg, 68, of Fair Lawn, New Jersey. "Through good and bad years, the Braves have been a fun team to watch. They’ve had many Baseball Hall of Fame players – from Hank Aaron, Eddie Mathews and Warren Spahn to Phil Niekro, Greg Maddux and Tom Glavine, not to mention [manager] Bobby Cox and 2018 candidate Chipper Jones. "It was a very enjoyable, one-of-a-kind weekend – probably the only time that kosher food was served at the Baseball Hall of Fame," he said. "I’m very proud to have promoted some of the Jews involved in baseball through those two books," he said. "Shawn Green holds the record for most total bases in a game, 19, with four homers, a double and a single. It’ll be difficult for anyone – gentile or otherwise – to break that record."